Ship Shape Elementary: Giant Pumpkins and ANOTHER Giveaway! Giant Pumpkins and ANOTHER Giveaway! Today was such a happy day for my kids! 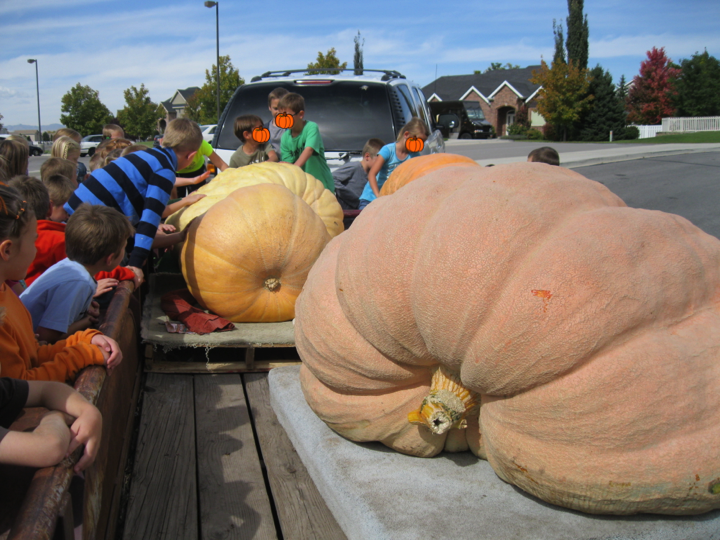 The parents of one of my students emailed and asked if they could come show my first graders the giant pumpkins they had grown! Um, yes! While we waited we did some impromptu literacy activities. We read these adorable books, here and here. We brainstormed a list of things that might be necessary or useful when growing a giant pumpkin. Our ideas ranged from healthy soil and sunshine to fish guts, classical music, and electric blankets! I had the kids write down and share what they would do if they had the chance to grow a giant pumpkin and then we made some quick tissue paper "giant" pumpkins. Special thanks to my sweet husband James for making me a quick pumpkin outline for this activity! My student's sweet parents were running a little late (they had just come from a weighing contest! ), but they were so good to let my kids get up close and personal to these orange beauties and to ask as many questions as they wanted! These pumpkins were INCREDIBLE! I thought my kids would die, they loved it so much! Later on they were allowed to climb up on the trailer and touch the pumpkins, give them hugs, and we took some hilarious class pictures with these giants! Thank goodness for spur-of-the-moment schema-building! They loved this so much, as evidenced by their subsequent journal entries for the day. This was the perfect random educational blessing in my day today! I've already mentioned that I am trying my hand at thematic teaching and I'm working on planning a pumpkin week for my sweet kids so this was the perfect launch! I can hardly wait for more pumpkin fun! By the way, if you are looking for some great pumpkin activities check out my October Packet! 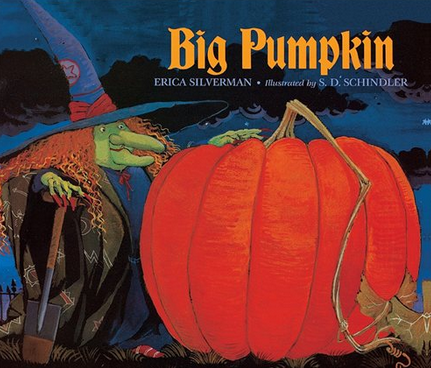 It has loads of pumpkin-themed literacy and math pages. It will be on sale for another day or two! Click below or right here! What are your favorite pumpkin activities? Leave a comment with your email address! And don't forget to follow my blog! I will randomly choose 2 comments and email you my October Packet for FREE! My favorite pumpkin activities - measuring, journal writing, life cycle,labeling the parts of a pumpkin and making pumpkin crafts!!!! I would love a copy of your packet.